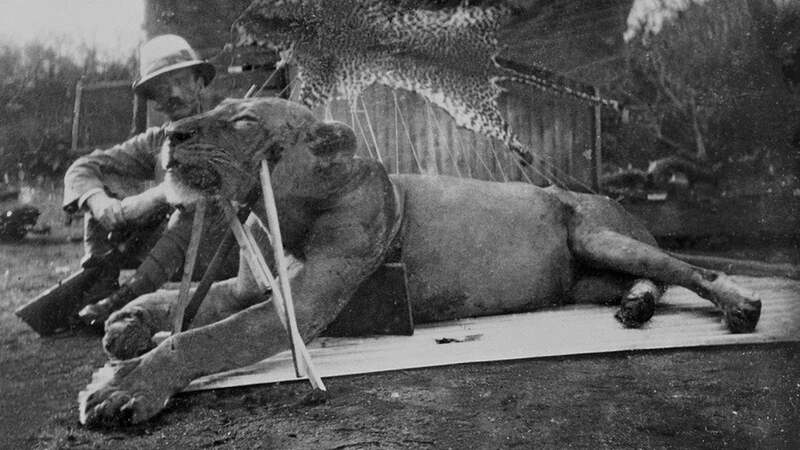 In 1898, a pair of lions feasted on the most fearsome of predators: Humans. Some think they could have killed 135 people constructing a railroad bridge over the Tsavo River in Kenya, though research lowered that number down to 35 human lunches between the pair. But what could drive these lions to play a round of The Most Dangerous Game? 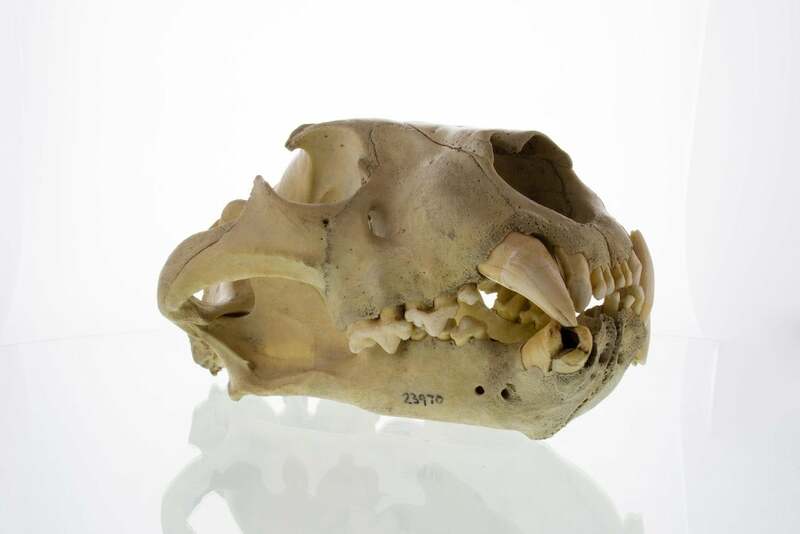 Today, man-eating lion expert Bruce Patterson at the Field Museum is still analysing these cruel cats' skulls and teeth to understand what could have turned them into human hunters. Lions don't normally eat humans — we're sort of a last resort meal. But various factors make lions behave abnormally and seek different prey, and Patterson thinks the answer is far stranger than just famine. He thinks that maybe the cats just had a case of toothache. "Lions kill with their teeth," Patterson told Gizmodo. "One of the man eaters had a root tip abscess on the lower canine tooth that would have rendered excruciating pain from pressure." Lions kill large prey, like wildebeest, by clamping down on their windpipes with their teeth. "But if you can't kill a buffalo, you better not grab it because it can kill you. The arrival of 3000 railway workers [would have been] met with considerable excitement by the lions." "The arrival of 3000 railway workers [would have been] met with considerable excitement by the lions." Examining the microscopic wear on the lions' teeth, everything looked pretty much normal — which was a surprise to Patterson. Had the teeth been scuffed up, this might have signified that these lions had eaten a lot of bone and that they were hungry scavengers feeding on humans as a last resort. Instead, the Tsavo lions had the chompers of cats with a healthy diet, information Patterson and his coauthor published in the journal Scientific Reports today. But abscesses at the bottom of the teeth cued the authors into their theory of dental disease. There are plenty of other reasons a lion might eat something unusual, however. Researcher Craig Packer, director of the Lion Research Center at the University of Minnesota, told Gizmodo he wasn't convinced that toothache drove lions to kill humans. Instead, "that man eating outbreak coincided with a very severe episode of rinderpest," a viral cattle disease, "that killed most of the natural prey for the lions. This was a period of time when there would be some very hungry carnivores without their normal prey." This doesn't explain the lack of significant wear on the man-eating lions' teeth, but it might cast doubt on the tooth decay theory. Packer noted that plenty of lions that have eaten people didn't some sort of tooth disease. "It may look like an association but it's just a correlation," he said. There are other theories that both Packer and Patterson point to, including the fact that humans have long been encroaching on lion territory. "I don't think there's a lion in Africa that doesn't come into contact with people on a daily or weekly basis," said Patterson. Humans had long been building (and dying) on the shortest routes between watering holes, leaving their bodies as a free meal. And as Packer pointed out, the 1898 case certainly wasn't the only time lions munched on man — in 1991 a lion in Mfuwe, Zambia ate six people, for example. We've long been surprised by and tried to understand the predatory behaviour of lions — but why? Us humans eat other animals all the time, and if cows wandered into your town, it's likely someone would eat them. You're going to die anyway, why not at the hands of a hungry lion?